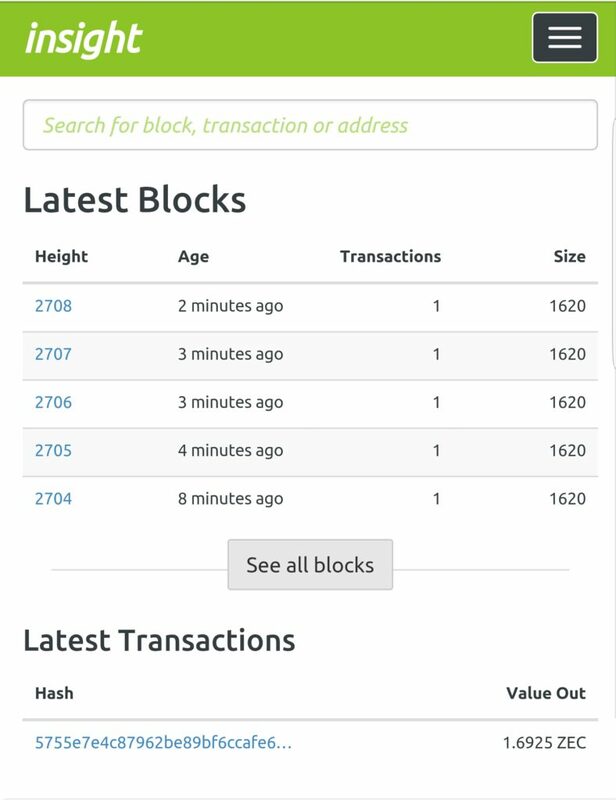 Last night Zcash engineer and I2P developer str4d released the first Block Explorer for the Zcash Testnet! This fantastic tool lets users see the current blockchain height, connections to nodes, current difficulty, last block hash, last block value, and more. Very useful API that can be used for writing web wallets and other apps that need more advanced blockchain queries than provided by the basic zcashd RPC.